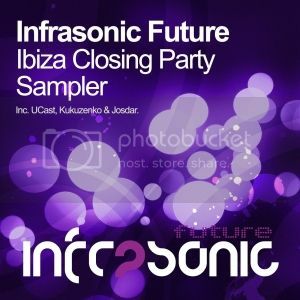 Infrasonic Future Ibiza Closing Party Sampler [Infrasonic Future] | OUT NOW! 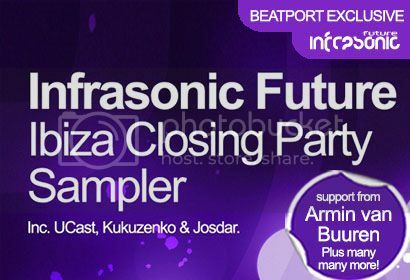 Thread: Infrasonic Future Ibiza Closing Party Sampler [Infrasonic Future] | OUT NOW! After another successful summer season for the Infrasonic stable and its arsenal of unique, stand out artists, we have a very special collection of a trio of tracks that perfectly summarise the Infrasonic sound and vibe from the summer of 2013. In this very special Infrasonic Future Ibiza Closing Party Sampler, there are tracks from three artists to watch out for: UCast, Kukuzenko and Josdar. First up is the delightful ‘Klia’ from UCast – an artist that has gone from strength to strength this year. That is followed up by the exciting ‘Dangerbox’ from another rising star: Kukuzenko. The track offers a slick fusion of cool house vibes and huge big room trance energy. Finally wrapping up this already mouth-watering package, we have Josdar delivering the groove fuelled ‘Sunsetness’.